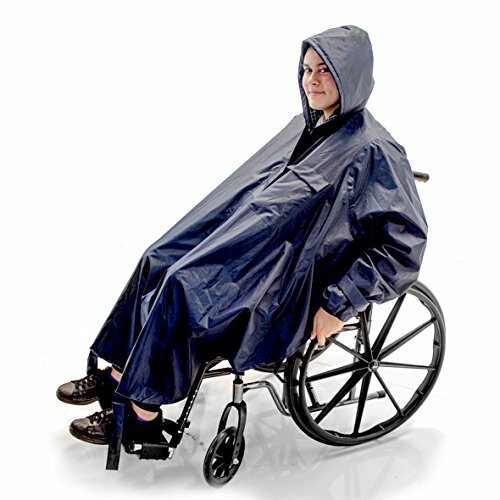 We are delighted to present the brilliant Warm Winter Rain Poncho for Wheelchair, Electric Powerchair, Mobility Scooter Riders, Quality lining. With so many on offer today, it is wise to have a brand you can recognise. 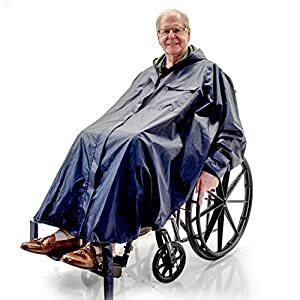 The Warm Winter Rain Poncho for Wheelchair, Electric Powerchair, Mobility Scooter Riders, Quality lining is certainly that and will be a excellent acquisition. 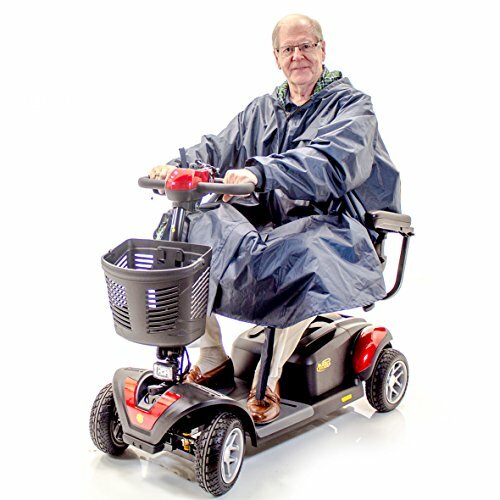 For this great price, the Warm Winter Rain Poncho for Wheelchair, Electric Powerchair, Mobility Scooter Riders, Quality lining comes highly recommended and is always a popular choice for most people. Challenger Mobility have provided some great touches and this equals good value. 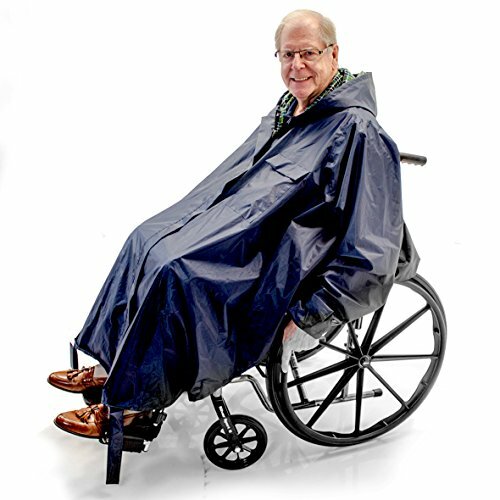 The challenger outfitters winter poncho is water-repellent, and keeps warm all scooter, wheelchair and power chair riders. It is a modern design that offers a universal sizing with front zip closure, and the full sleeves and hood ensure a full cover for the entire body. It has a neckline zip so can be put on or taken off with ease, plus a drawstring hood for a snug fit. 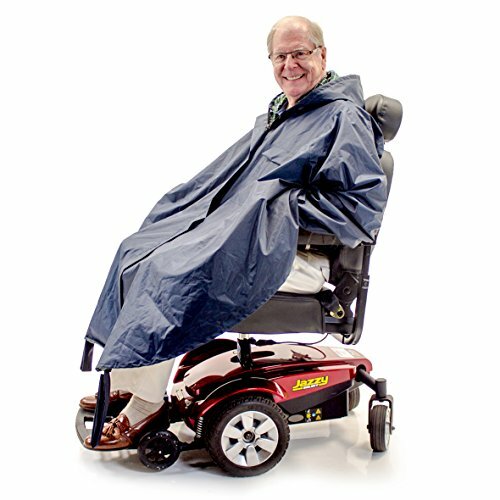 The cotton and polyester fiber lining provides the user with additional warmth and comfort as well as added protection against the wind, making this poncho particularly well suited for use in those colder, wetter winter months. 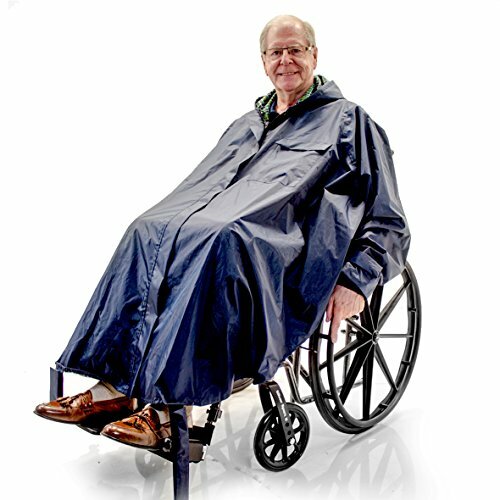 The sleeves has sealed seams for total waterproofing and offers complete protection for both the wheelchair user and the chair. 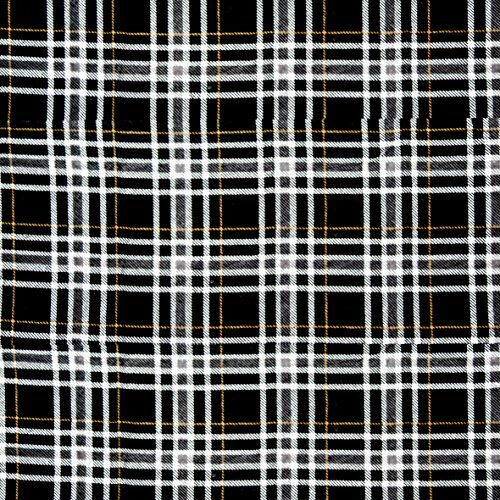 The knitted cuffs on the sleeves give the user additional comfort, retaining heat at the same time as preventing draughts, the cuffs are covered by the sleeve to give a smart appearance and to prevent them getting wet. A pouch pocket at the front provides a handy storage area for those essential personal items like keys, phone, or a wallet. It is easy to put on and take off and can be folded into a compact size for easy storage.